This is Banned Books Week, and this week’s Kids In The Cliff storytime at The Wild Detectives is all about banned books. 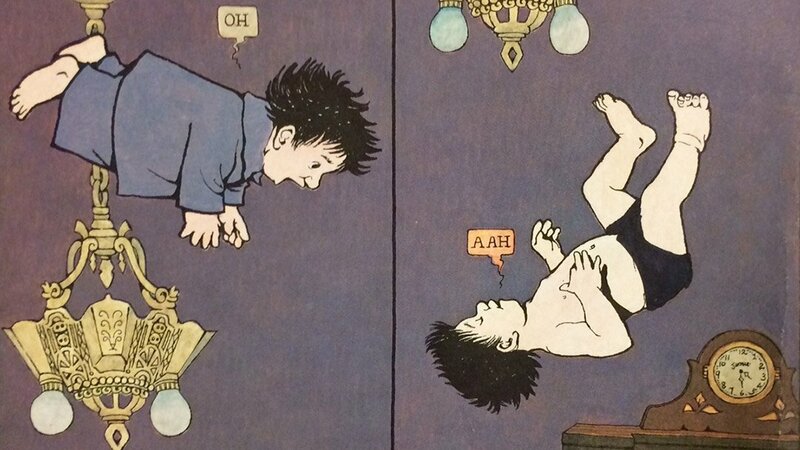 Parents, you’ll be shocked that these sweet books haven’t always been seen as such. We’ll start with Munro Leaf’s The Story of Ferdinand, which tells the story of a gentle bull. This 1936 classic – beloved by Gandhi and MLK, banned by Franco and Hitler – is a sweet story set in Spain of a bull who would rather smell flowers than fight in bullfights. The book’s animated movie adaptation (Ferdinand) was released this past year. Next it’s the now-classic Goodnight Moon. Margaret Wise Brown’s little bunny wishing everything in the great green room goodnight was considered to be too much lacking in plot and the teaching of upstanding values for Anne Carrroll Moore, the influential children’s librarian in the New York Public Library. She disapproved of the here-and-now movement from the pioneering Bank School for early development that recognized young children’s central involvement with their immediate environment. She was influential with librarians and educators across the country, and the book that is now widely recognized as many children’s first book didn’t grace the NYPL’s shelves until the 1970s. For another great animal tale, Tomi Ungerer’s The Mellops Strike Oil from 1958 has been re-editioned by Phaidon in English, along with a number of his others. This exuberant family of pig adventurers go after the black gold this time. One thing leads to another and their quest traps the mother in a forest fire. Adults objected to the depiction of her entrapment, especially the flames licking her clothes. Despite the relatively cute rendering of danger and the fact that she was safe within a couple of sentences, the scene was feared too much for children’s delicate sensibilities. (Most kids find it the most exciting part!) Ungerer was later nearly completely blacklisted as his political and adult artwork became known to the children’s books world, and he returned to Europe. As people have come to appreciate that people can create for more than one audience, he has enjoyed a recent renaissance, seen the opening of a museum in his honor and continues to work into his nineties. Want to know about more banned or challenged kid’s books? Classics like these and A Light In The Attic, Harriet The Spy, and Are You There God? It’s Me, Margaret have made the lists for years, as have relative newcomers Harry Potter, Captain Underpants, And Tango Makes Three, Drama, and I Am Jazz. Don’t be surprised if John Oliver’s name appears in this year’s list.